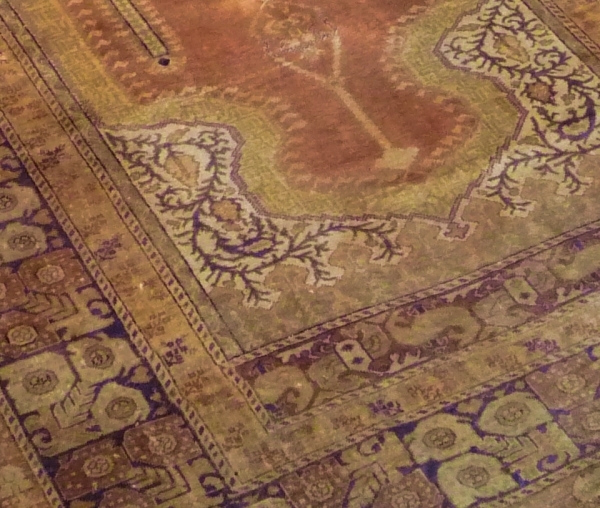 An antique Anatolian silk Panderma rug, circa 1930. This wonderful silk rug has been hand woven to create a piece that has a soft and silky sheen that gives a sense of opulence to a setting. The rug has been given a soft wash to gentle tone down the colours. 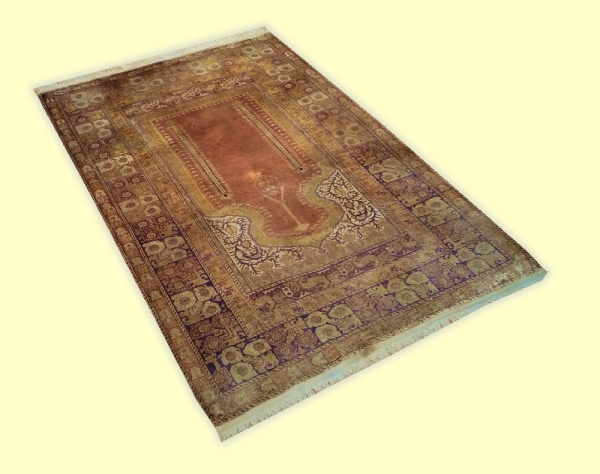 Panderma rugs have beige, coral and or gold coloration. Good condition.